On Thursday, September 27, White and Williams’ Boston and Wilmington offices joined volunteers around the world in the inaugural Ford Law Global Day of Service, a worldwide initiative spearheaded by Ford Motor Company’s Legal Alliance for Women (LAW), the company’s professional organization focused on women in the legal practice. Ford LAW’s Global Day of Service kicked off this year with a singular vision to help community organizations that are assisting women and girls through educational, empowerment and support programs. White and Williams is among more than 90 law firms around the world partnering with LAW to participate in a day of community service as a collective effort to give back to the communities in which Ford and its partnering law firms live and work. 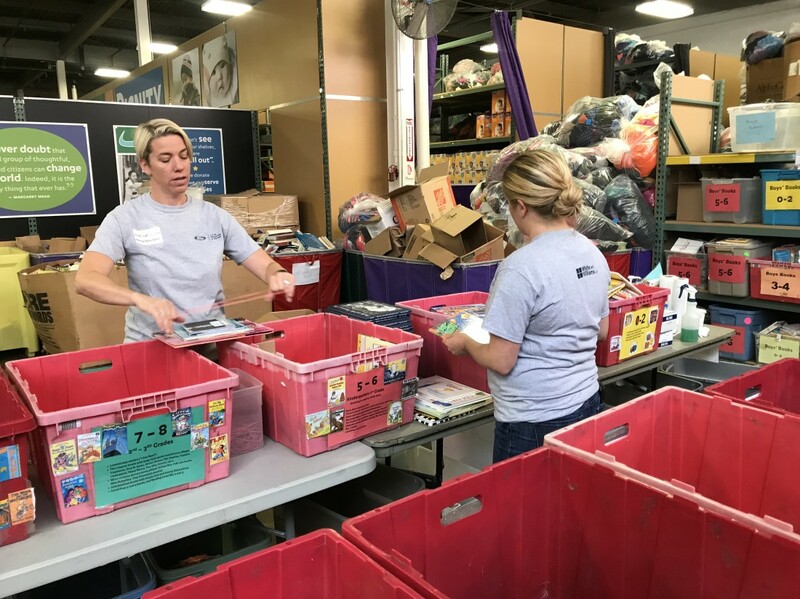 The Boston office volunteered at Cradles to Crayons, an organization that collects new and/or nearly new children’s items in support of mothers and families living in underserved communities. Cradles to Crayons provides children from infancy to age 12, living in homeless or low-income situations, with essential items they need to be successful. Donations were collected, processed, and packaged by White and Williams’ lawyers and were delivered to families within the community. 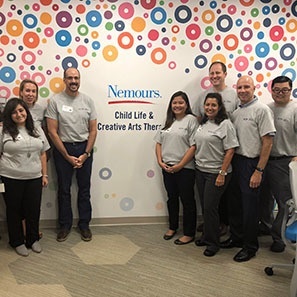 In Wilmington, the firm partnered with Nemours/Alfred I. duPont Hospital for Children to provide a Fall season craft day to assist hospitalized children and their families cope with the stressors of hospitalization by engaging in a fun and creative activity. “Through this day of service, we are aiming to marshal the collective efforts of our partners in the legal profession around world to give back to the community,” said Beth Rose, assistant general counsel at Ford Motor Company and chairperson of Ford’s Legal Alliance for Women. “The passion we share in advocating for and serving our communities extends beyond this one day. It is part of who we are as individuals and drives our community service year round. “White and Williams shares in Ford’s passion and is committed to dedicating time and resources to helping individuals through charitable and public interest causes,” stated Christian Singewald, Chair of the Products Liability group. “We are truly honored to work alongside Ford and our community partners to provide life-changing assistance to children and their families,” said associate, Rochelle Gumapac, who led White and Williams’ involvement in the initiative.